The Ridgefield School District is inviting all of its students to design this year's district holiday greeting card. This will be the contest's third year. The school district, in partnership with the Ridgefield Art Association, first launched the contest in 2014 to promote student creativity and encourage student appreciation of the arts. This year's theme is "Joy", and all Ridgefield School District students are encouraged to submit artwork. The designs must fit on a half-sheet of letter-size paper. Entry deadline is November 1, 2016. Official contest rules can be found here. 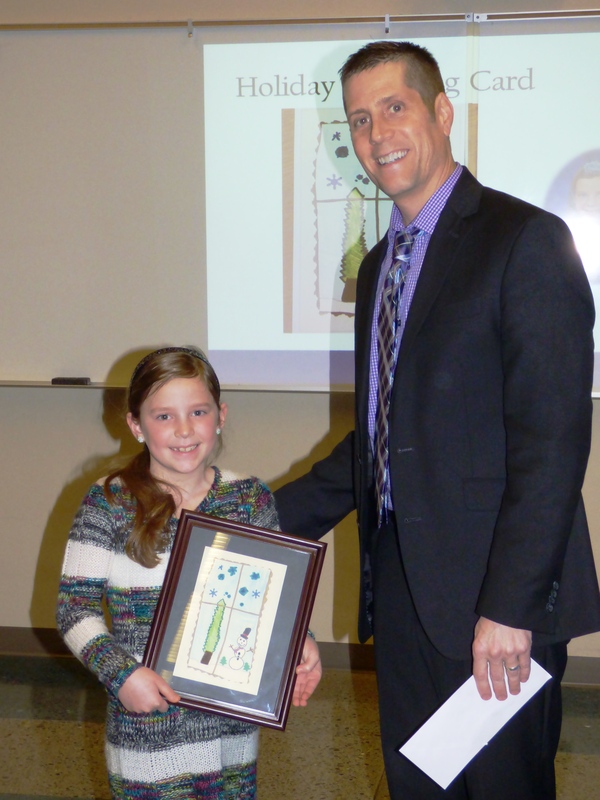 Last year, Emma Waddle, currently a third-grader at South Ridge Elementary, submitted the winning entry. 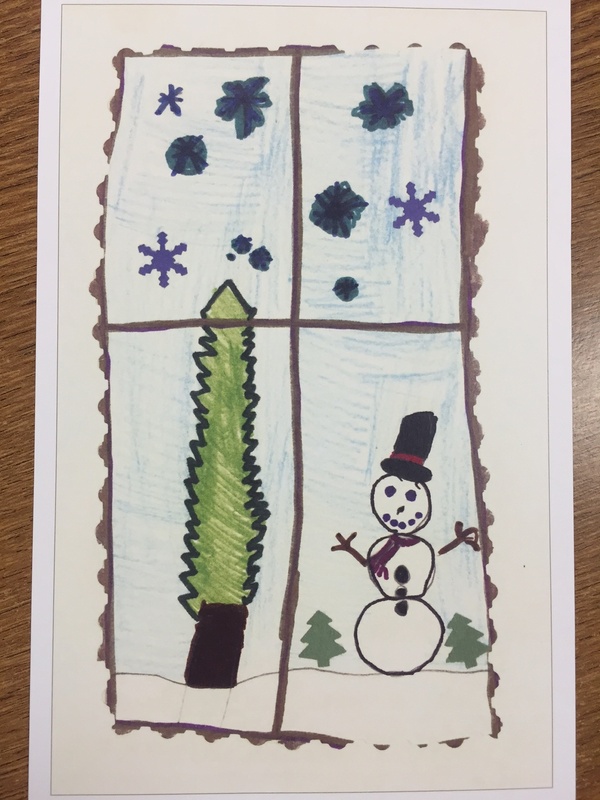 Her artwork was used as the design on the district's holiday greeting card, which was mailed out to the school districts, public entities and private businesses on Ridgefield School District's holiday mailing list. As the first-place winner, Emma also received a cash award. This year, the first-place winner will be awarded a $50 cash prize, and each of 3 semi-finalists will be awarded $25. All 4 winning designs will be printed on separate greeting cards and made available for purchase. The first-place design will be used on Ridgefield School District's holiday greeting card this year. "We are grateful to the Ridgefield Art Association for sponsoring this annual contest," said Superintendent Nathan McCann. "This contest allows our students to have their art published while spreading holiday cheer." In conjunction with this contest, the district's Community Education Department will host a free Holiday Card Workshop open to students of all ages. All supplies (as well as creative inspiration) will be provided. With parental permission, the completed projects will be submitted for the students as entries to the Holiday Greeting Card Art Contest. The workshop is optional, and students need not attend this workshop to submit a contest entry. Two workshops are scheduled: October 25th 3:40-4:40 pm at South Ridge Elementary Library, and October 26th 2:40-3:40 pm at Union Ridge Elementary Library. For more workshop information, contact Terri Cochran, Ridgefield Community Education Director, at 360-619-1303.